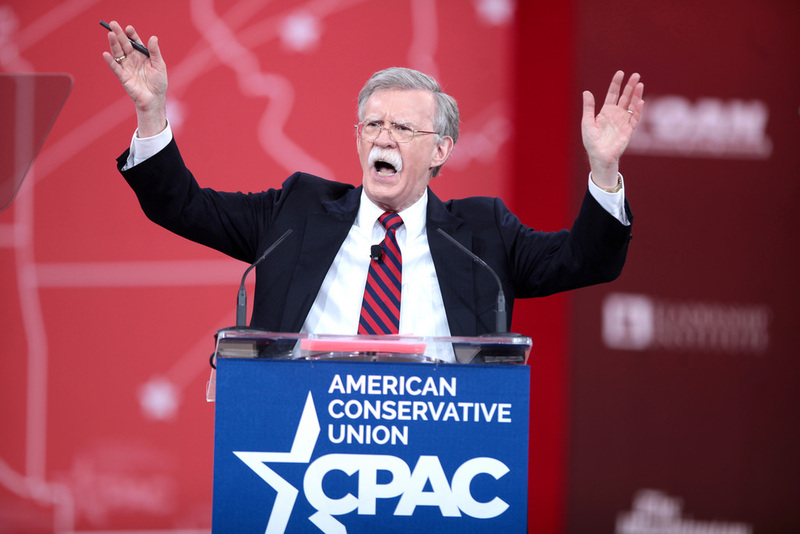 John Bolton is a hawk’s hawk, a militarist who never saw a U.S. war of aggression he didn’t like. The best thing one can say about his appointment as national security adviser is that Trump will probably ignore him the way he does all his other advisers and fire him six months down the road. If so, the sky won’t fall right away. But make no mistake – it will soon. Rarely has war fever in Washington been deeper and more broad-based. Everybody’s jumping on board – liberals and conservatives, Republicans and Democrats, human-rights advocates and neoconservatives. With the 2018 midterms fast approaching, it seems that the only choice voters will have is between a military conflict from column A and one from column B. Which will it be – the clash with Putin that liberals are talking themselves into? Or the showdown with Iran that Bolton has long advocated?